Recreating the boundaries of art appreciation, Sydney-based artist Luke Cornish, is inviting us to collaborate with him on his next project, “Colour Your Stay”. 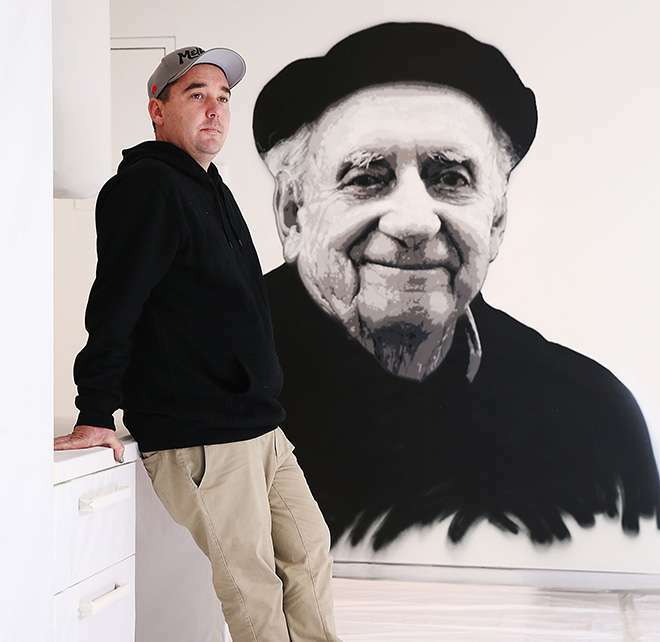 Lead by Cornish himself, guests who stay at one of the Art Series Hotels, The Blackman, The Johnson or The Olsen from October through December, will have the opportunity to pick up a spray can and add to the wall mural in a whitewashed room to express their inner creativity. Each of the hotels participating have been designed to celebrate an artist of prominence, and Cornish will produce a portrait of each individual including John Olsen, Charles Blackman and Michael Johnson, in a mural that guests will be contributing to. Cornish is a true pioneer of Australian street art and has won many accolades during his career. His passion for urban contemporary art is evident throughout his many works which take influences from the dynamic nature of the street environment. Through the use of canvas, aluminium, board and glass with up to 1000 separate sheets of acetate stencils, Cornish works with numerous colours of layered aerosol paint, sometimes over 200 different tones, to produce his dynamic pieces which appear to have a photographic likeness. Each piece by Cornish is intended to embody the social and political issues of our time, with strong international influences as a result of his travels to the middle east where war has had a powerful effect on its people. Cornish produces portraits that speak to the human spirit in a unique way, with deep profound meaning that many art connoisseurs simply appreciate or take pleasure in deciphering. The recent works being created in the “Colour Your Stay” project serve the purpose of transpiring the will of many into one depiction of one, to be displayed on the walls of these Melbourne hotels as a legacy for time to come.